8x10 inch dry plate glass negative by Edward Hart. 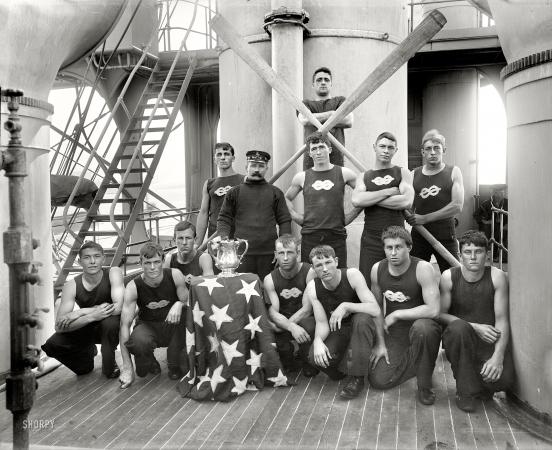 "A champion boat crew" aboard the U.S.S. New York circa 1896.